The AKG D112 MKII Internal Miking System for Floor Tom from MAY Miking Systems allows you to capture the sound of your bass drum from inside the drum; the origin of its distinct tone. The patented MAY internal miking system provides maximum presence and isolation from ambient sound. 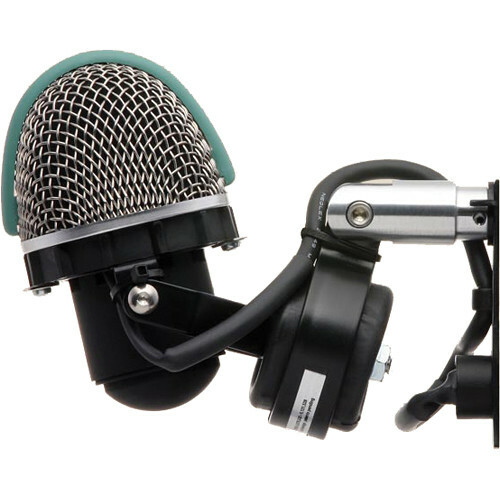 The mic is attached via non-drill AVC (audio vent connector) that utilizes the drum's existing vent hole. Internal miking provides added isolation for those who want to control their sound, both in the studio and on the stage. Box Dimensions (LxWxH) 10.0 x 6.0 x 1.3"